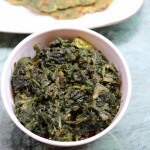 Palak sabji recipe is a basic sabji recipe made with spinach or palak leaves and is a very quick and simple recipe for beginners. It is as popular and common as aloo sabzi in India. 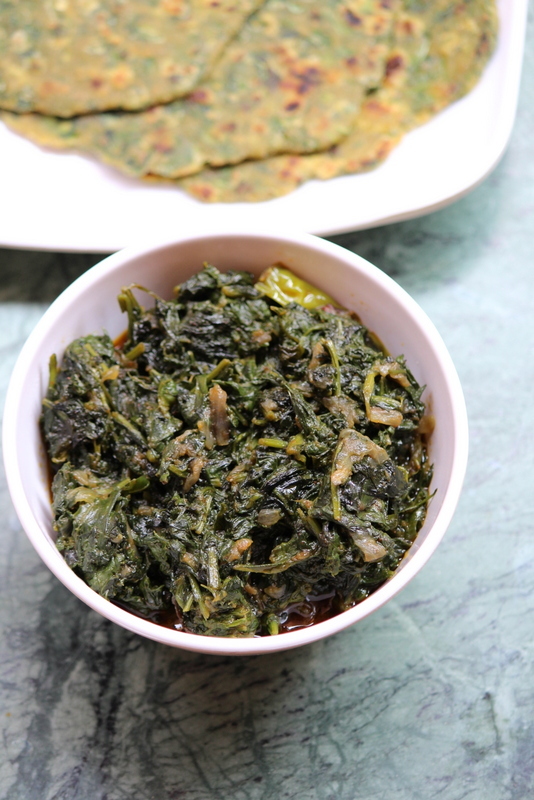 Palak sabji is the most common side dish made to eat with roti or phulka or it can also be eaten with rice recipes . Also check out other veg sabzi or curry related recipes on the blog such as cauliflower curry, brinjal curry, aloo matar, aloo palak, aloo methi, mirchi ka salan, bagara baingan, matar paneer masala. 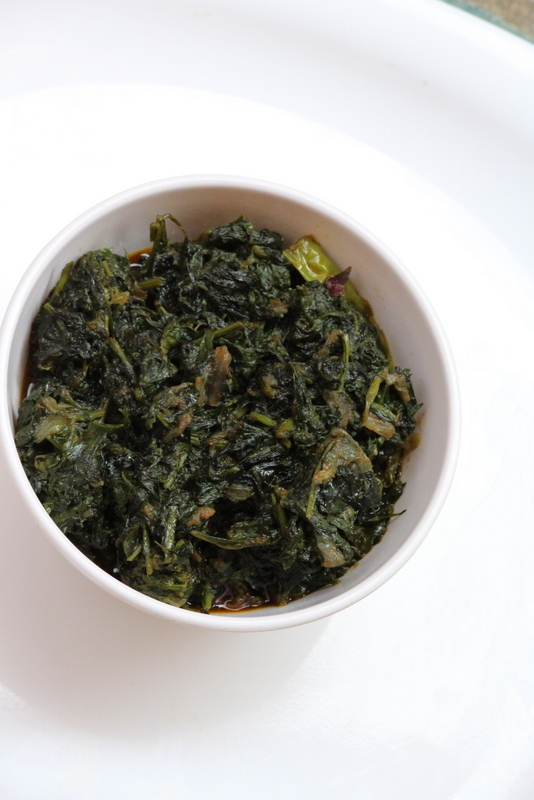 Palak ki sabzi which is posted here takes very few ingredients without any masala and tastes delicious. It is perfect with plain rice and works wonders with rotis too. 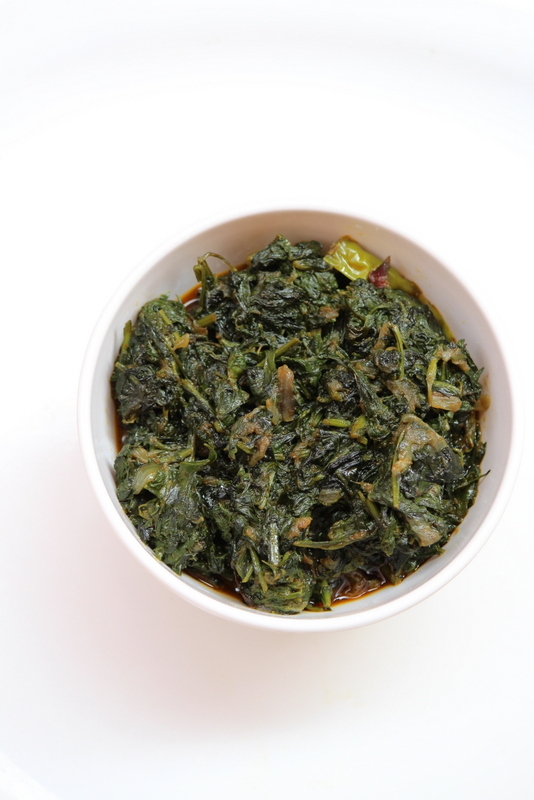 Palak or spinach has got huge health benefits and making it in any form is very healthy and there are many varieties of palak recipes that can be made with many variations. I would like to post many simple recipes for beginners and sabzi recipes are mostly made as daily dishes in every household. I have used onions in this recipe but if one does not like to use onions then do skip the ingredient. Palak ki sabzi actually tastes good if onions are used and palak is also made using tomatoes which shall be updated in my other palak posts. Firstly, take a cooking vessel, into it add oil and heat it. Add sliced onions into it, add slit green chillies too. Saute it until the onions get soft. Add the chopped spinach leaves and mix them well. Gather the leaves together by cooking them. Add red chilli powder into it. Add turmeric powder into it. Add chopped coriander leaves into the sabzi. Mix the sabji well, cover the lid and cook it until the palak gets soft for about 15 minutes. When palak gets soft and cooked, switch off the flame. Please do not add water as spinach leaves release water by themselves… If you want to retain its green color then do not overcook the palak.